I didn’t have that in my sights for this fall. 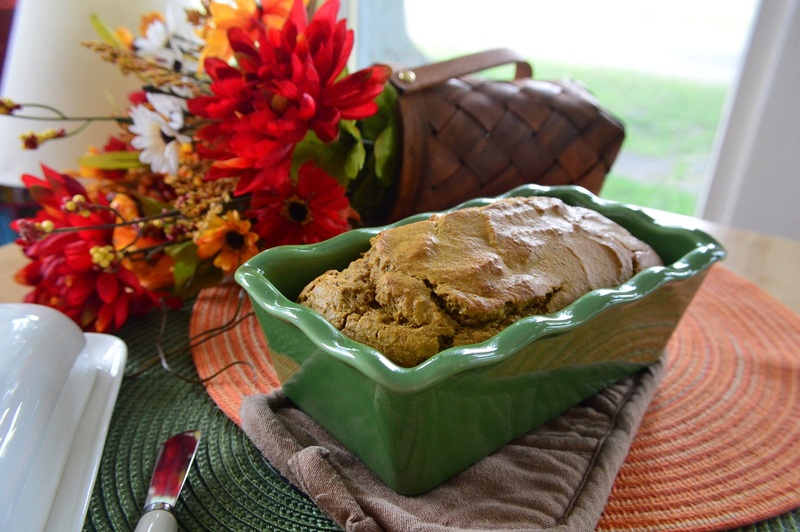 However, a friend randomly messaged me and asked if I had a good gluten free pumpkin bread recipe. She added that, if not, she had a suggestion for a recipe to develop and share on the blog. #1 – I like pumpkin. 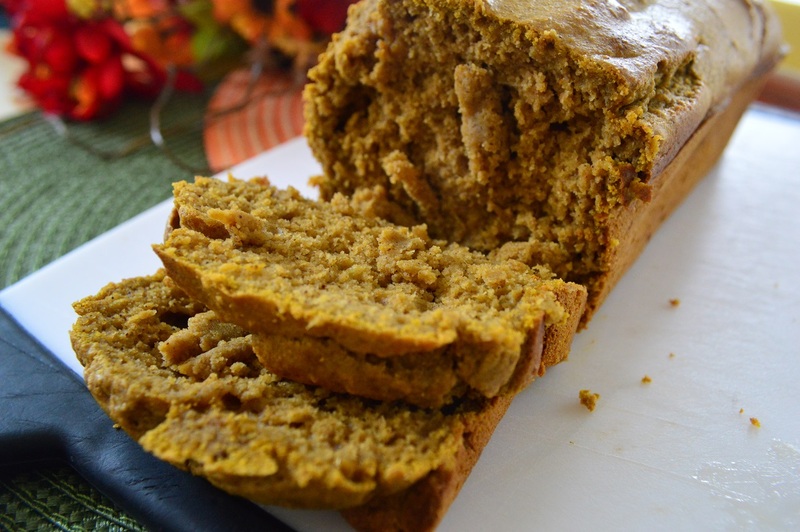 Pumpkin pie, pumpkin bread, pumpkin muffins, pumpkin cheesecake, pumpkin cheesecake muffins, and on, and on. #2 – My dear, sweet, loving husband does NOT like pumpkin. My Fall seasons come and they go, and they often come and go without anything pumpkin in them. One year Hubby did encourage me to make a healthified pumpkin pie, and it turned out pretty well. I think he even ate a piece. But otherwise, “I hate pumpkin” is what I hear if I even dare suggest the idea. I very rarely take the time to make something that Ryan won’t eat. It doesn’t feel worth it. 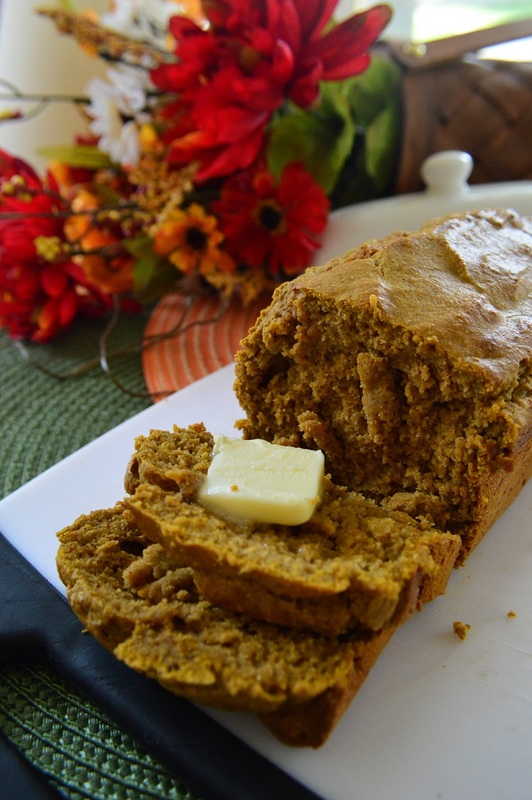 This recipe is a modification from Dr. Axe’s pumpkin bread. I changed a couple major things along with using a smaller pan so that the bread wouldn’t be so flat (like in their video). At the time of my initial posting of this recipe, the original picture at the top of his site made me suspicious that it might be a stock photo. (He stated that he sometimes uses stock photos to represent gluten-free recipes). The recipe originally calls for almond and coconut flour, and even though that combo can be delicious, it does NOT end up looking (feeling, or tasting) like a wheat counterpart. I want to make sure it’s clear that all my recipes come with my own, original, unique-to-the-recipe photos. 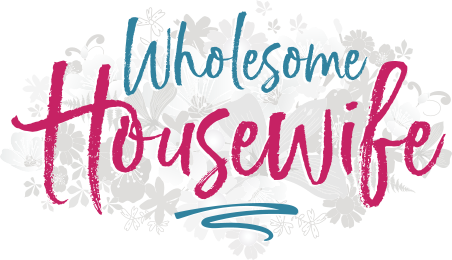 I use stock for other posts (like my postpartum depression series), but NEVER recipes. 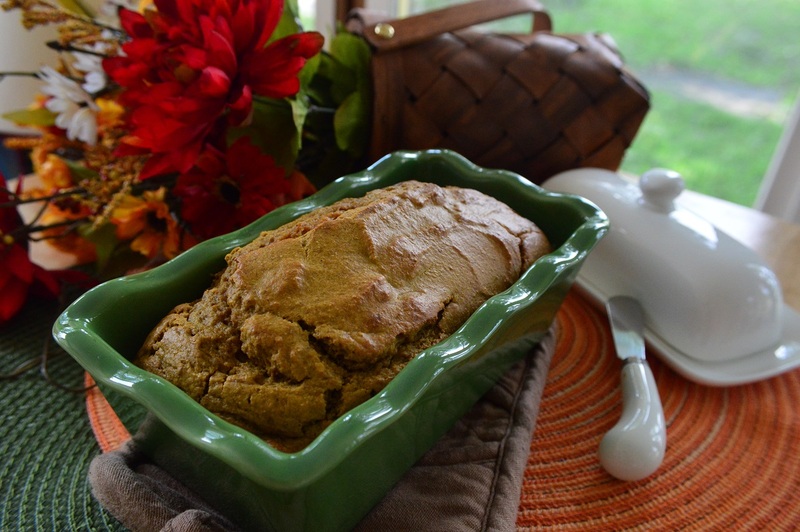 Super moist, flavorful, gluten-free, pumpkin bread that brings out all the lovely fall feelings! Combine top four ingredients (wet). Add remaining ingredients in order listed, then mix well. Pour into well greased 8x4 ceramic, glass or metal pan. Bake for 40-55 minutes or until toothpick inserted comes out clean. Enjoy with butter and a glass of organic, raw milk! Let me know if you get to try it in the comments! Happy Fall, Friends! 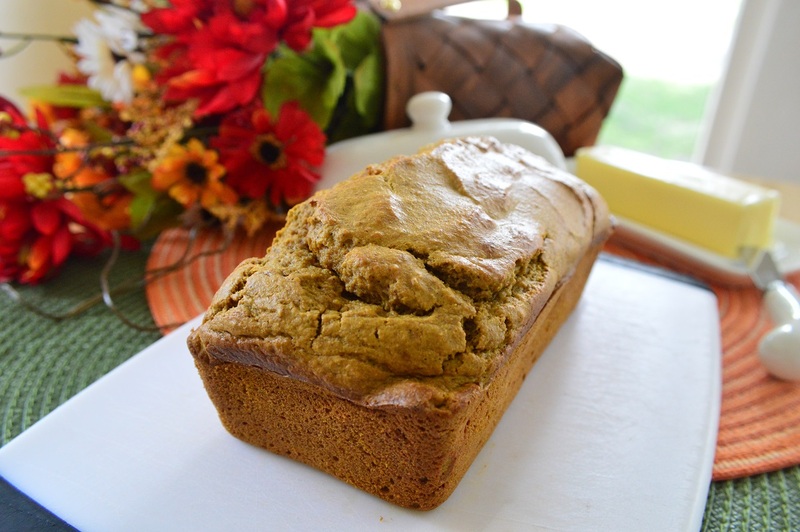 I made this pumpkin bread today and it is amazing!! My husband won’t let me take it to work to share. Which means I’ll be making it again and saving this recipe for the future too! It’s so moist and flavorful. I used fresh pumpkin I baked the night before and coconut sugar instead. Very, very good. Thanks for sharing this recipe!